For the past few months, heavy monsoonal rains have caused flash flooding and landslides across Myanmar. Huge swathes of the country have been affected, with homes, crops and lives all being lost. Thousands of people are still displaced. But the flooding has also brought another, longer lasting, and more sinister threat to survivors: malaria. Right now, pools of warm, stagnant water lay on the ground and mosquito breeding will skyrocket. Malaria deaths will almost certainly rise. In one of the many villages affected by the flooding sleeps 2-year-old Ahdee. It’s humid, and so Ahdee’s mother has put him in the open air, hoping that the slight breeze will help her son sleep. Malaria kills over 1 million people each year, most are children like Ahdee. What she doesn’t know is that just one bite from the thousands of mosquitoes that are buzzing around her home has the potential to kill Ahdee. This threatening picture is the same in villages right across Myanmar; parents just don’t know the risks. And so the need to protect children like Ahdee is urgent. 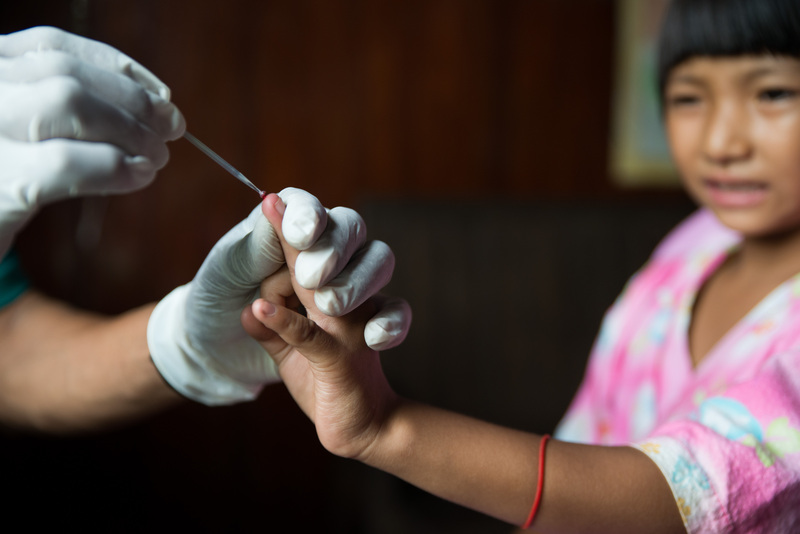 Immediate blood testing is made available to even the poorest families so that if a child becomes sick (high fever, and seizures), a blood test can be taken for health-workers to make an accurate diagnosis. This is the crucial first stage. A rapid blood test can quickly diagnose malaria. If the mosquitoes poison is in the child’s bloodstream, malaria can kill in a matter of hours, so medicine is quickly needed. Life-saving medicine is given to the child and works by battling malaria head on, and keeping the dangerous fevers away. But most importantly, the medicine keeps a child like Ahdee alive. But there’s still work to be done to protect children at risk. Families are given insecticide treated bed nets to hang over sleeping little ones. These nets are large, specially coated in mosquito repellent and can often cover a number of children. But they’re also portable, meaning that family members can take them out of the home if they are outside at night. The thin blue netting keeps the mosquitoes away and puts a hedge of protection around those under it. 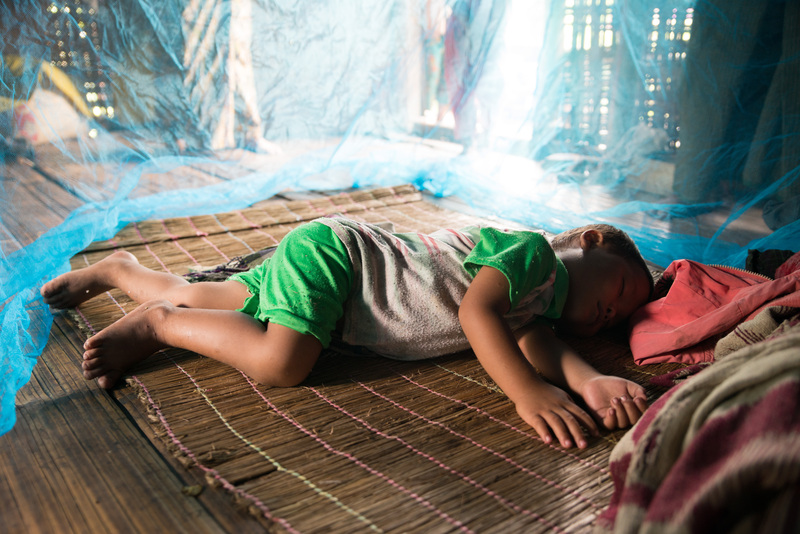 A bed net will help keep the mosquitoes away from sleeping children. Last year, parent’s in Ahdee’s village sadly buried many young boys and girls, all killed by malaria. “We didn’t know why all the children kept dying.” said Ahdee’s mother. So World Concern goes one step further and provides training for parents to be made aware of malaria’s deadly warning signs and what to do if their children get sick. Children like Ahdee are sleeping unprotected and with all the extra water from the floods, the need is urgent. A gift of just $59 will cure and protect children like Ahdee before it’s too late. You will be giving them access to rapid blood tests, life-saving medicine and bed nets, and also be training parents on how to keep their kids safe. And with the malaria threat so high in Myanmar, your gift today will be tripled! You can cure and protect 3x as many children as Ahdee, thanks to a special matching grant. Barefoot and dressed in filthy clothes, tiny Xay refused to leave his mother’s arms to play with the other children being evaluated for the Child Survival program. At 18 months old, Xay should be running, squealing, and playing with the other children. Instead, he was pale, thin, and listless. More critically, Xay is underweight, weak, and suffered from chronic diarrhea. We measured his arm with a special band to determine his level of malnutrition. Xay’s arm measured 11cm, indicating he is severely malnourished. For Xay’s mother, nothing is more important than saving her son – but she doesn’t have very many solutions. She knows the food she scavenges for in the woods outside her village in rural Laos each day isn’t enough. She knows her son is hungry and sick. She knows that without enough food, her beloved son could die. With your help, this little guy can soon be eating healthy, gaining weight, and on his way to better health – in just a few short days. A gift of $34 will provide nourishing, healthy food for Xay and others, rescuing them from the pain and sickness that comes with not having enough to eat. In addition, Xay’s mom and others will be able to participate in a special program where they learn how to grow and prepare locally available vegetables and other easily accessible foods, providing highly nutritious meals for their children. With these simple changes, 100% of children gain weight and show measurable improvement within 12 days. Moms also learn the importance of good hygiene, safe drinking water, and using toilets to keep their children free from sickness and disease. The best part is, they learn from other moms who are already successfully feeding and caring for their little ones – so each mom has support from a mentor right in her own village. This helps ensure kids keep gaining weight and growing strong. 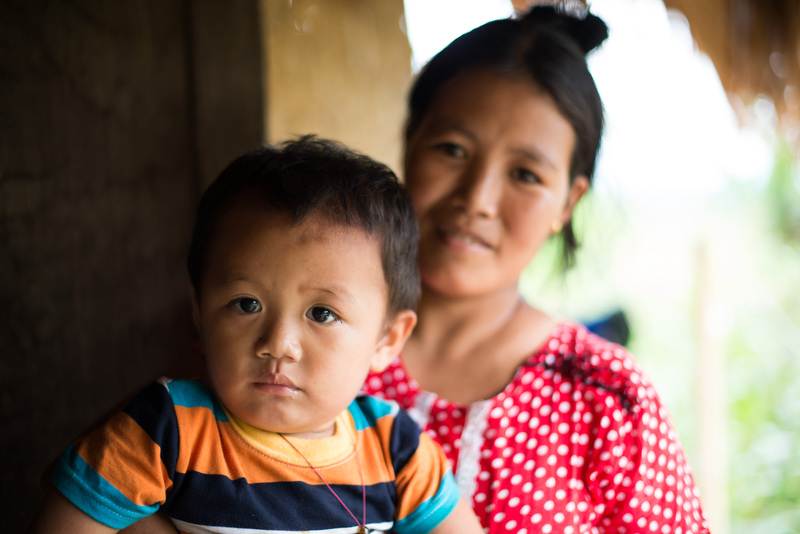 With these vital tools and training, moms like Xay’s will be equipped to keep their sons and daughters healthy, ensuring they grow strong throughout their childhood. Because of matching grants, your gift to feed a hungry child like Xay’s will TRIPLE, helping feed three children throughout their childhood.